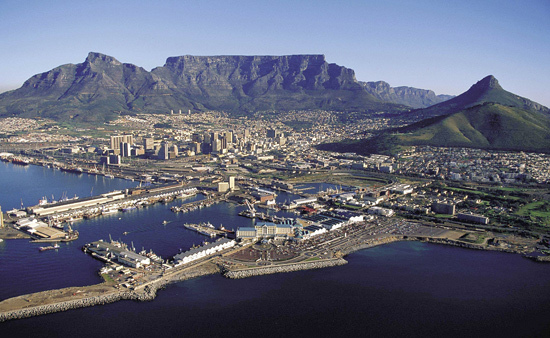 ‘Forecasting Africa’: Serving a Mission in Cape Town, South Africa! Kitsap Sun reporter Chris Henry was in Silverdale today reporting on a feel good story taking place within my work environment (I won’t give too much away…you’ll have to wait for the headline to see it!) and we finally met. I hear about all the Sun reporters/bloggers and read their stuff, I just never get the chance to meet them, so it certainly was a pleasure.We got to talking about how both of us haven’t been posting nearly as much as we should lately. I think we’re all a little bit guilty of that, though. So, I apologize. I’ll try to update this blog with more fun, informative and entertaining blog posts at least every other day. I do have somewhat of a legitimate excuse, however. The past few weeks I have been on pins and needles anxiously awaiting my 2 year church mission call from LDS Church Headquarters in Salt Lake. I filled out paperwork and left it in their hands to decide what would be best for me and the people I serve. Last night, it arrived! 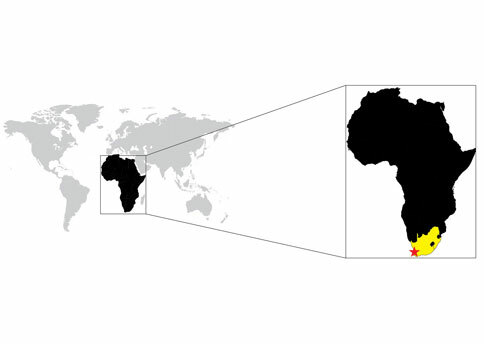 As the title so clearly states, yes, I found out I am going to be serving in the South Africa Cape Town mission which also covers the extremely poor (half of the population–approx 1 million people–earns $1.25 a day) and AIDS-stricken (15% of adults have AIDS) country of Namibia to the northwest. This will truly be a humbling and growing experience for me. But what makes this mission call so special to me is the fact we hosted a foreign exchange student from Tanzania, Africa this past school year and had a blast (You can read the blog write-up I did on him here). I remember feeling a deep desire to go to Africa someday because I was so intrigued by John and his culture. Sure enough, my wish was miraculously granted when I discovered I’d be going to South Africa. As you may guess, I will step down as blog writer of Forecasting Kitsap in early June as I will report to the South Africa Missionary Training Center in Johannesburg June 17th. Someone else to be decided will run this blog or something similar until I get back in June of 2012 and resume my bloggin’ habits. It’s going to be so hard not to blog while on my mission, but I will be able to e-mail my family once a week, so at least I’ll have that. I’ll talk a little more about S.A. later, but for now many of you are anxious to hear what Valentine’s weekend has in store. Well…sorry to rain on your love parade, but it is looking quite cloudy and rainy through the whole weekend with highs in the low 50s. But light is at the end of the tunnel! Skies will clear towards the end of the week and highs will nudge 60…if forecast models are to be believed. Cross your fingers! 60 degrees and sunny—a rarity in a Seattle winter, but very common in a South African one! Matt: You really should try to maintain a blog of your experiences there, if the church will allow it. Maybe do something on Blogger.com or WordPress.com so it doesn’t cost you anything. I would be an avid subscriber for sure. I’m excited for you, man! Stay in touch, okay? Cape Town and SA are beautiful. If you get the chance, visit Blaauwklippen and dine at Blues. Best of Luck Matt. What a wonderful life experience. Grab it with both hands and hold on. We will miss you! If you can not blog, I certainly hope you will keep some sort of journal while you are on your mission and that you will share some of those vivid experiences with us when you return. God Bless and keep you safe, my friend. My wife gave me the news last Thursday night. We are so excited for you and know you will do a great service to the people of South Africa. Thanks for being the fine young man that you are.